Kenya is one of the few African countries that has herds of the common plains zebra as well as the rarer Grevy’s zebra. Adapted to the semiarid regions of northern Kenya, the Grevy’s zebra is distinguished by its thinner, more densely concentrated stripes and its more rounded ears. 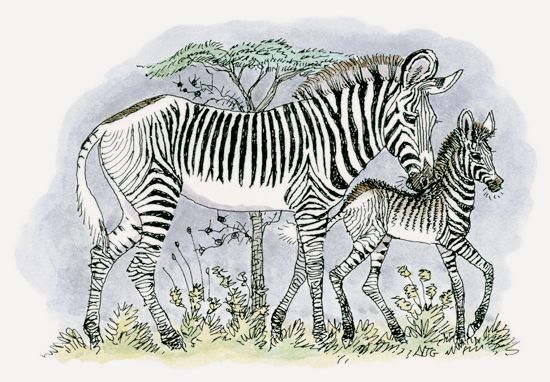 Grevy’s zebras are also noticeably larger than plains zebras. 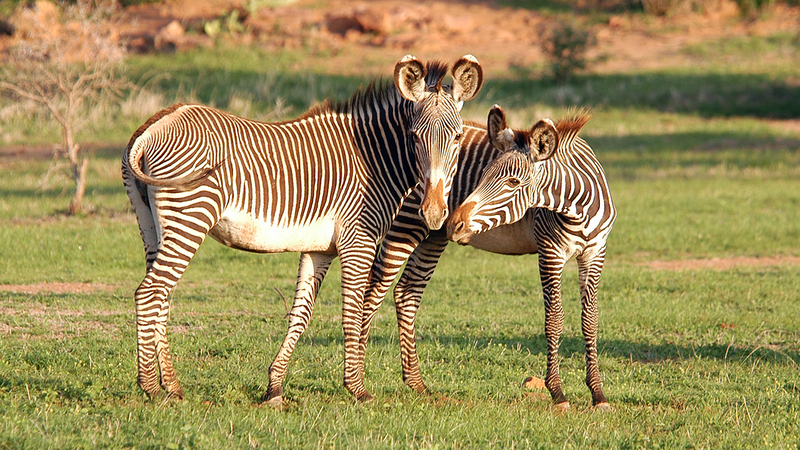 In fact, the Grevy’s is the largest living zebra species. 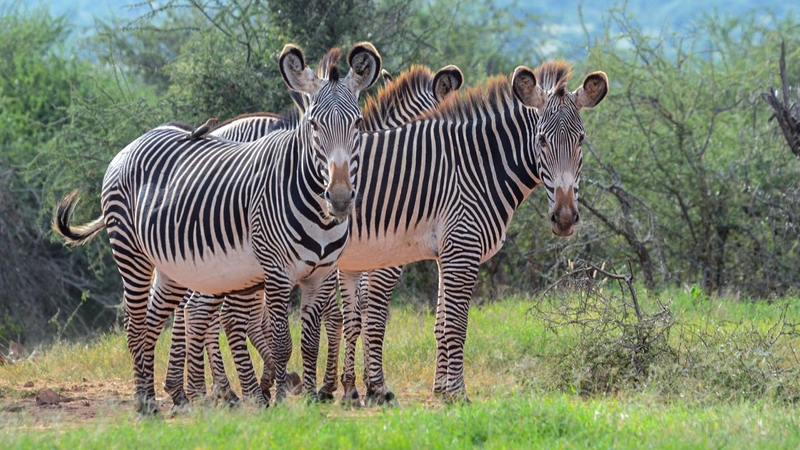 What threat do plains zebras pose for Grevy’s zebras? They carry communicable diseases deadly to Grevy’s zebras. They pose a risk of hybridization. They out compete the Grevy’s zebra for food. 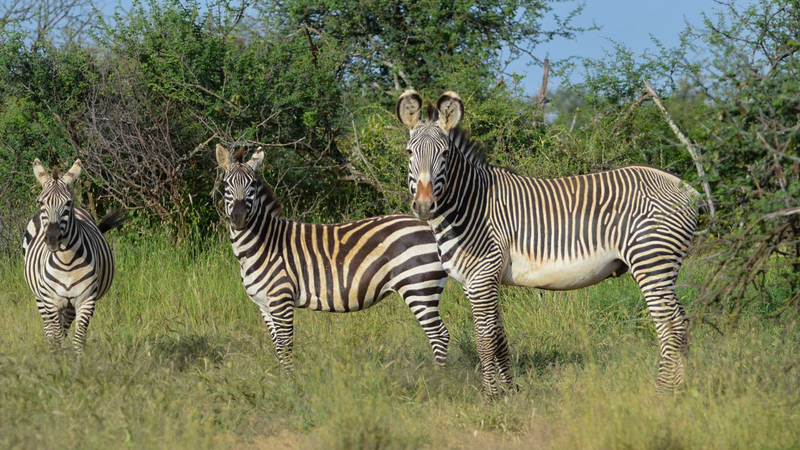 Plains and Grevy’s zebras can breed to produce hybrid offspring that compromise the genetics of both species. However, due to behavioral differences between the species, hybridization doesn’t happen very often. 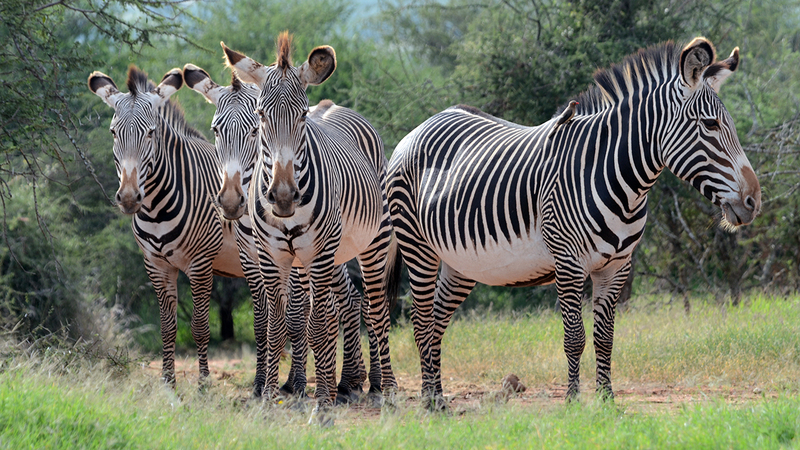 Although Grevy’s zebras are social animals, their social bonds are much more fluid than those of the plains zebra. Plains zebras interact in fairly stable harems, but Grevy’s zebras form groups where the composition changes nearly every day. Group sizes can sometimes exceed 150 individuals, although smaller groups of less than 20 are much more common. Mothers with foals tend to congregate in nursery groups. Foals don’t always travel with their mothers and might stay with several other foals in a “kindergarten” watched over by an adult. These groups allow the mothers to travel greater distances to find more resources. Males live either in loose, roving bachelor herds or as lone territorial males. Although territorial males are often tolerant of bachelor males, they will violently chase them off when females come around. Grevy’s zebras communicate using a wide range of noises and postures. Territorial males vocalize with loud braying and squeaking to protect their territory or assert dominance. Bachelor males and females vocalize less frequently, although lactating females often call when they become separated from their foals. All zebras vocalize when squabbling with others or when fleeing a predator. Grevy’s zebras also communicate using olfactory cues. 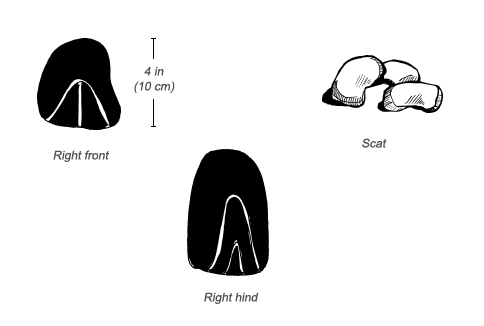 A male is able to determine when a female is in estrous, and territorial males advertise their presence to other males by repeatedly defecating at certain spots along their territorial boundaries. Territorial males also display dominance by rearing up on their hind legs. Grevy’s zebras spend the heat of the day resting—preferably in the shade—and drinking water. They prefer to drink during the four hottest, brightest hours of the day, possibly to avoid predators. However, in areas where cattle monopolize water holes, the zebras are forced to drink at night. 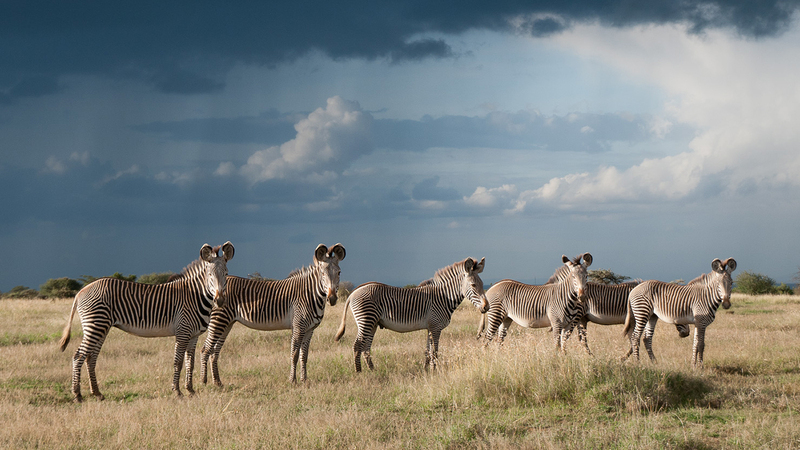 Grevy’s can range up to 22 miles (35 km) from water, even during the dry season. Lactating females with foals, however, need to drink every day and stay close to open water sources where they can watch for predators. If necessary, Grevy’s zebras will dig in dry riverbeds with their hooves to find water. The Grevy’s zebra is listed as an endangered species on the International Union for Conservation of Nature (IUCN) Red List. Kenya has banned hunting them since 1977, but these zebras still compete with people and livestock for water and grass. Although they are protected in Ethiopia, poaching with semi-automatic weapons is still a major concern.The Gervy’s zebra population in Laikipia is growing for two main reasons: Competition with livestock in northern Kenya has pushed them southward; and the zebras have been successful in reproducing, thanks to the willingness of ranchers in Laikipia to tolerate their presence. 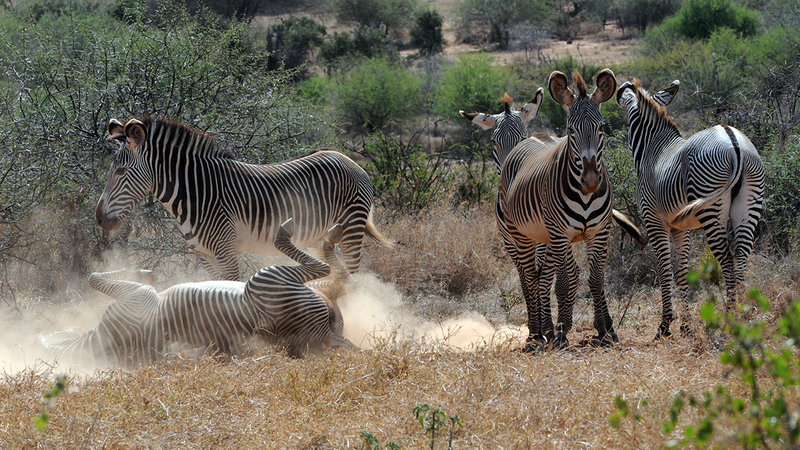 Grevy’s zebras survive mainly in scattered populations across northern Kenya and in isolated pockets of Ethiopia. Over the past several decades, their range has expanded to the southwest into Kenya’s Laikipia plateau, likely because of man-made changes to the landscape. Grevy’s zebras prefer dry grasslands and scrublands. Although they need access to permanent water, adult zebras—except nursing mothers—can go without drinking for three to five days. The number of Grevy’s in an area depends largely on the availability of key resources, especially water and grasses. 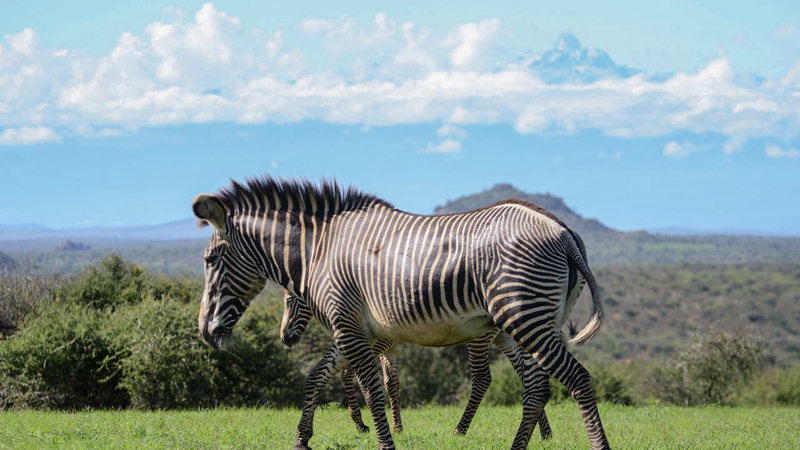 The location of these resources in Laikipia and northern Kenya changes throughout the year, and these zebras will move long distances to find them. 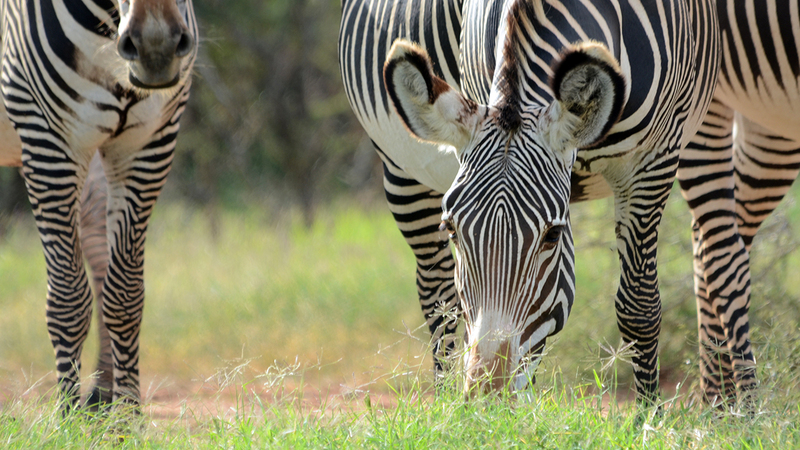 Competition with plains zebras and livestock may also affect where Grevy’s zebra live. Grasses make up most of the diet of Grevy’s zebras, although during extreme droughts, they will browse on certain trees. Like other wild horse species, Grevy’s zebras adopt foraging strategies that maximize the amount of nutrients they extract from the grass they consume. They also eat high-fiber grass that most domestic livestock avoid. Bachelor herds and nursing females tend to gravitate toward areas with the greenest, shortest grass. Territorial males have a breeding monopoly over females that enter their territories. This means that males holding territories near valuable resources, such as drinking points, usually have more mating opportunities. Mares come into estrus approximately every 27 days except during times of poor resource availability. Then, a female may enter a period of anestrous until her body condition improves. As a result, breeding typically peaks right after the wet season. Mares usually give birth to one foal after a gestation of 58 weeks. 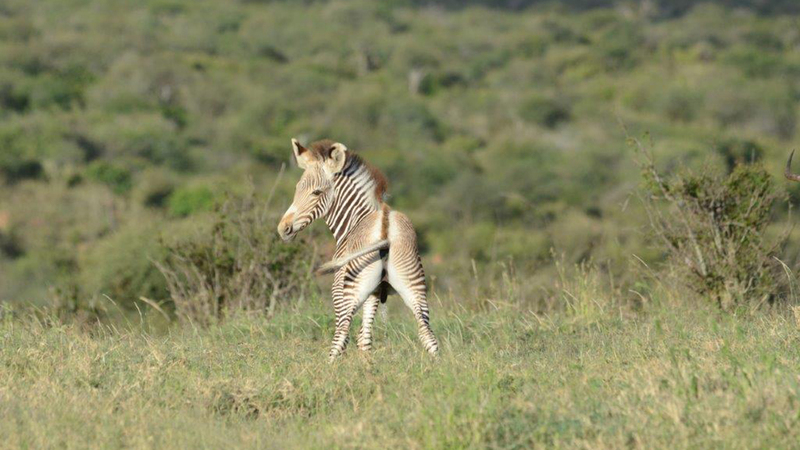 Grevy’s zebra foals are capable of running and following their mothers within hours of being born. Young foals nurse for almost a year and will stay with their mothers until they are about two years old. Lions are a Grevy’s main predator, though leopards, cheetahs, and spotted hyenas occasionally capture foals. The Nile crocodile is also capable of eating an adult. In areas where livestock keep zebras from water during the day, zebras tend to drink at night when they are more susceptible to predation. Grevy’s zebras are vulnerable to diseases and parasites, allthough biologists are uncertain what effect these parasites have on their health and behavior. Grevy’s zebra populations have undergone one of the most dramatic population declines of all the large African mammals in recent history. Surveys in the 1970s suggested their total population was as large as 15,000. The current number is beginning to increase from a low of around 2,000 to about 2,500, with most living in Kenya. 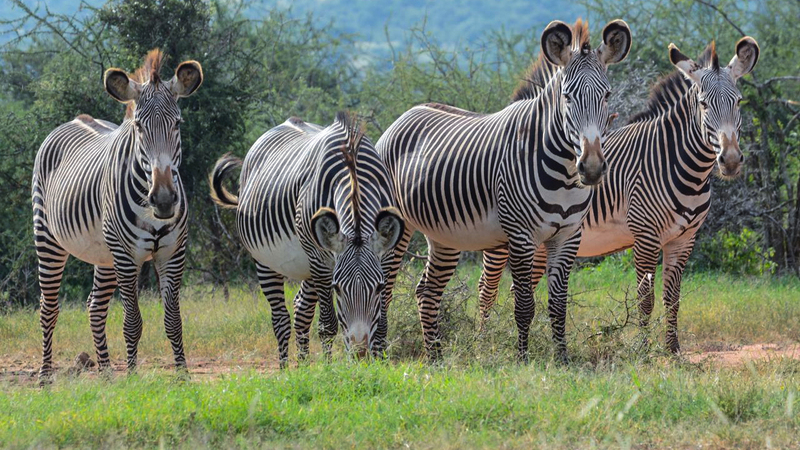 Although zebras are mobile and regularly shift their locations, recent surveys estimate that Mpala supports about 160 of these zebras, although they are rarely seen all at one time. Each zebra’s stripe pattern is as unique as a human fingerprint and likely helps zebras recognize one another.